I never closed the circle with my previous discussion of Microsoft's Live Mesh. As Microsoft continued their migration of FolderSync to Sync to Live Mesh to Live Sync I gave up and moved to Dropbox. At the same time I was moving from BlackBerrys to Android. 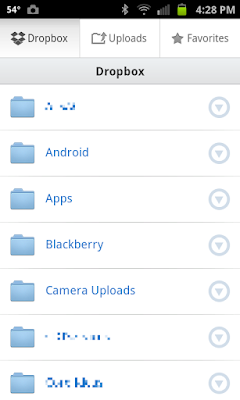 Dropbox is deeply integrated into Android and related apps. 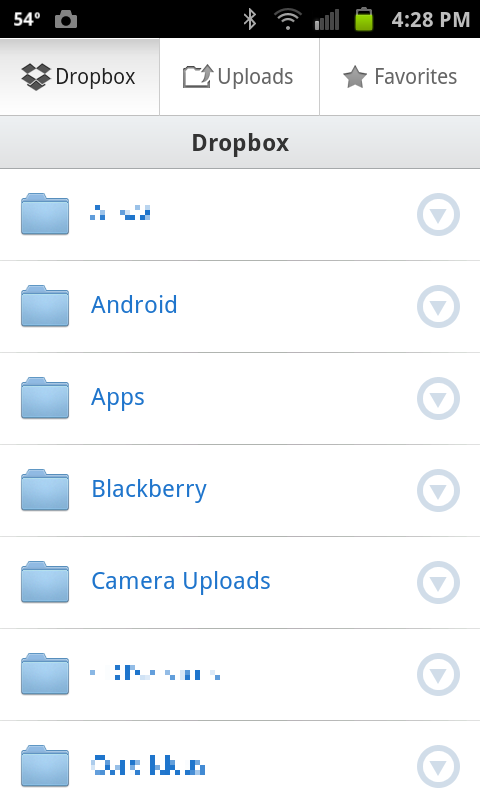 With my Android I was always interested in passively uploading my photos to Dropbox. There have been several apps that have taken various approaches to this, e.g. DropSync and Syncly. None of them were seamless and DropSync cost $6. This week Dropbox has opened the Beta testing program for their "experimental" version. You can get the PC version here and the Android version here. UPDATE: Android version 2.0.9.2 is here. Both platforms support automatic upload of photos and videos. I installed the Android version on my Captivate. Here is the Settings screen where you enable "Camera Upload." 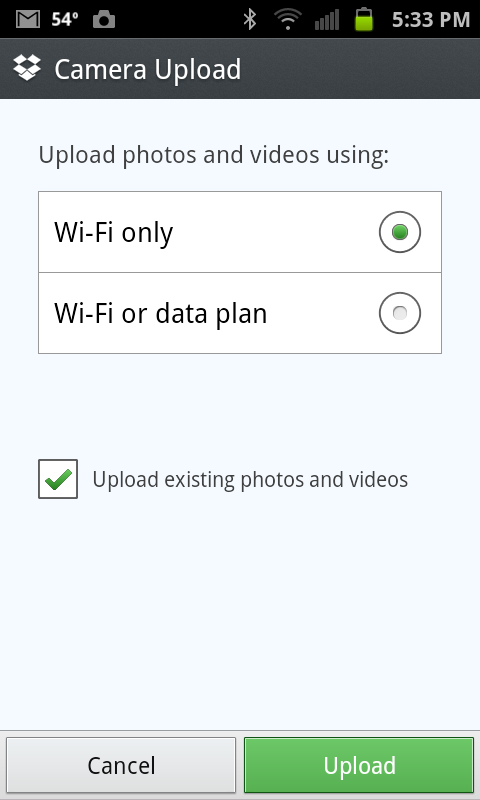 When you select "Camera Upload" here is the detail setting screen. 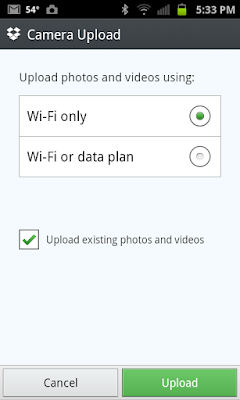 You can set Dropbox to only upload via Wi-Fi and whether to upload existing photos or videos. Here is the "Upload" screen with uploads in progress. PS. A serendipitous benefit is that when you use this "experimental" version to automatically upload photos or videos on any platform, for every 500MB that you upload, Dropbox adds 500MB to your Dropbox quota permanently. Kinda like getting your cake and eating it too.